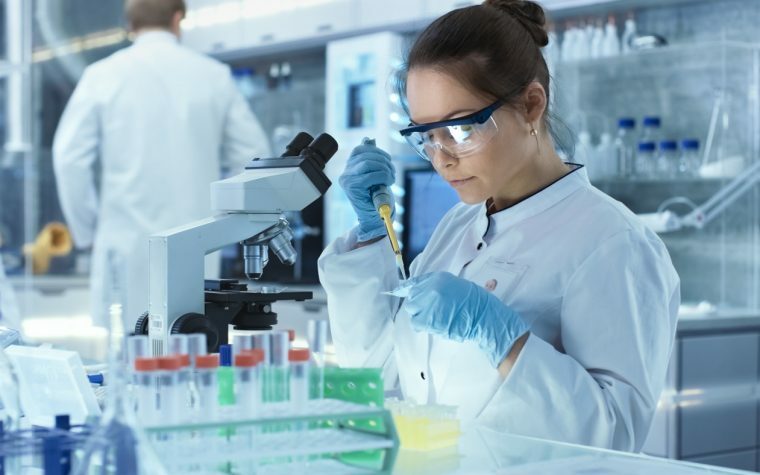 Trillium Therapeutics recently dosed the first patient in its Phase 1 clinical trial of TTI-622, a checkpoint inhibitor of the immune system being developed for the treatment of relapsed or refractory lymphoma and myeloma. Although the innate immune system is a key ally in fighting cancer, tumor cells may learn to evade immune attacks by activating “hiding” mechanisms that prevent immune cells from recognizing them. Cancer cells usually avoid immune responses through the expression of immune checkpoint molecules of the PD-1 and CTLA-4 pathways, and inhibitors of these pathways are currently used to treat various cancers. However, certain patients don’t respond to this type of immunotherapy, probably as a consequence of the tumor microenvironment. Part of this microenvironment are immune cells called macrophages, which work by engulfing tumor cells and presenting parts of their proteins to immune T-cells, which then start targeting cells that have such proteins. Tumor cells can also develop new mechanisms that prevent macrophages from attacking them. One of these mechanisms is the expression of CD47. Cells with high levels of this protein on their surface send a “don’t eat me” signal to macrophages, and tumor cells adopt this strategy to evade macrophages from recognizing them. TTI-622 is a fusion protein designed to block the inhibitory activity of CD47, improving the ability of macrophages to identify and eliminate cancer cells. In preclinical studies, TTI-622 has been shown to have anti-tumor activity across several blood malignancies. The patient recently dosed is enrolled in a two-part, open-label Phase 1a/1b trial (NCT03530683), evaluating TTI-622 in patients with advanced relapsed or refractory lymphoma or multiple myeloma. In the Phase 1a dose-escalation part, participants will be given TTI-622 once a week to determine the safety, tolerability, and maximum tolerated dose. In the Phase 1b part of the trial, participants will be given TTI-622 in combination with other agents, which will depend on their cancer type. Myeloma patients will receive TTI-622 in combination with a proteasome inhibitor like Velcade (bortezomib) or Kyprolis (carfilzomib). “This is an exciting time for Trillium as we initiate clinical development with our second CD47 blocking agent,” Yaping Shou, Trillium’s chief medical officer, said in a press release. “TTI-622 deepens our presence in the CD47 space, and its minimal binding to human erythrocytes could confer best-in-class status among IgG4-based blocking agents currently in development,” Shou added. TTI-622 is the second SIRPαFc decoy receptor that Trillium has advanced into clinical trials. The first is TTI-621, which consists of the same CD47-binding domain of human SIRP-alpha as TTI-622, but is linked to an IgG1 Fc region. Tagged CD47, CD47 inhibitor, Fc-IgG4, macrophages, Phase 1a/1b clinical trial, SIRP-alpha, Trillium Therapeutics, TTI-621, TTI-622.